Over this last week, this prayer formed in my mind. Our theme for this next week of Lent is THANKFULNESS and JOY and I find that nothing gives me more joy, or makes more thankfulness well up within me, than the breath that draws life into my body. It is not just a reminder of the sustaining presence of God, but the very essence of our Creator who breathed our world into being. I love to sit quietly breathing in and out, imagining the essence of God filling my heart and my soul. I am very aware that it is only God’s breath that sustains my life, at the same time filling me with all I need to accomplish what God calls me to do. Not surprisingly this contemplation often inspires me to write new breath prayers. The joy of my own freedom to breathe becomes even more special as I contemplate those for whom breath does come easily. One friend in New Zealand is struggling to breathe as her breast cancer metastasizes to her lungs. Another friend in South Africa is intubated in ICU because of an infection that has spread throughout his body. And around the world I am very aware of those who struggle to breathe because of pollution, disease and allergies. To find deep joy in breathing I must be relaxed. When I am busy or anxious, I take my breathing for granted and fail to appreciate the wonder of my God present in every breath. Giving up busyness can provide time for appreciation of God’s beautiful world and of the breath that created it. Sit quietly for a few moments taking note of your own breathing. As you breathe in imagine God’s essence filling you. Now breathe out and see that essence flowing out into God’s broken world. What makes you aware of God as you breathe? What separates you from a sense of God’s presence? Take some time to watch the video below of a breathing exercise I often conduct at seminars. 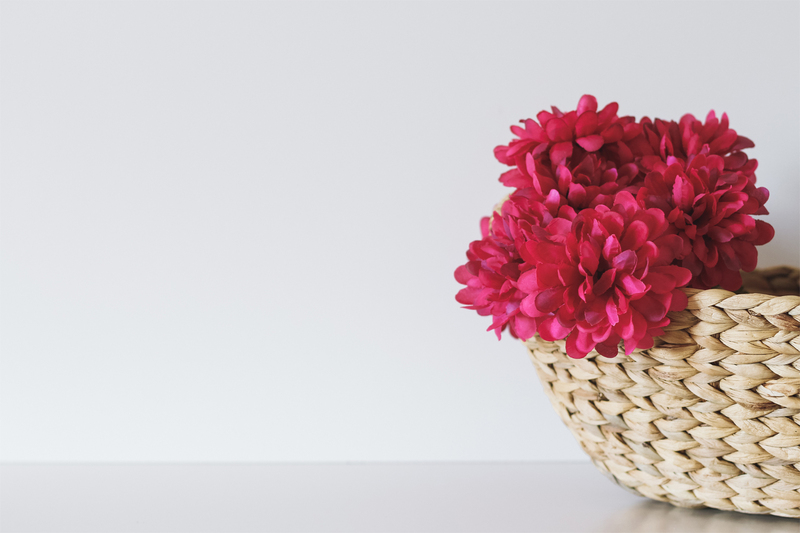 Or check out this post and read through the breathing prayers incorporated in it. What response is God asking of you? Are We Hungry for More? Beautiful prayer-poem Christine–I plan to read this to begin our first yoga class as a part of our Women’s Ministries program we are kicking off for the Spring/Summer. Thank you for sharing your words and reflection. So glad that you can use this. 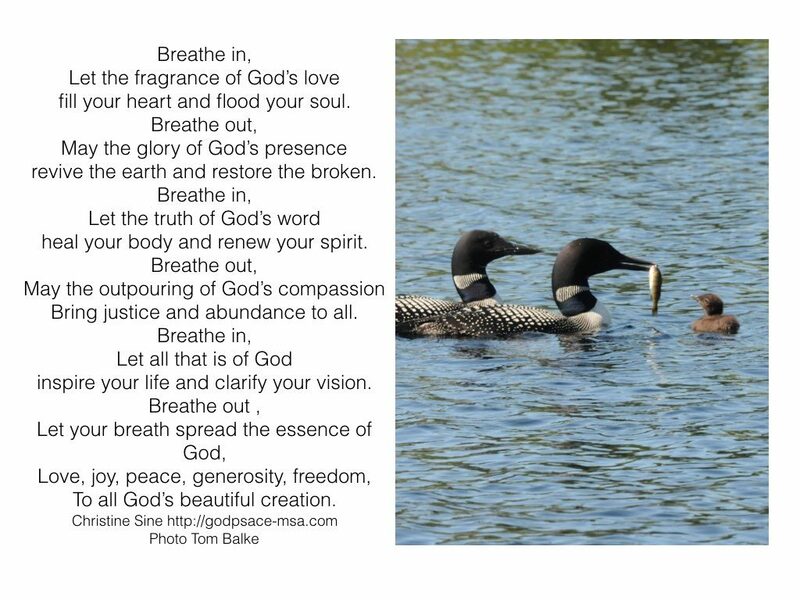 Let me know how it goes – and do check out some of my other breath prayers. Thank you Christine for this beautiful poem and post, a greatly needed practice and reminder! I believe this helps us to “make every effort to enter that rest”. Christine, this video, in addition to letting me “see” you, adds another dimension to your beautiful post. The YHWH breath prayer delights me, and I want to gratefully draw this into my practice. Thank you for sharing these thoughts with such love. May the Spirit teach us all to breathe as if from the soles of our feet, drawing the wondrous column of air clear up through the top of our heads! Your welcome Laurie and thank you for the feedback. I hope to put together a better quality video of this – when I don’t have a cold! but am glad that even in this form God can speak through it. And I love your phrase “breathing from the soles of our feet.